We have little ants that come to our house to “visit” every spring no matter what we do to get rid of them; they always come back. It has turned out to be an interesting and fun learning experience this time, because my kids are able to observe them in action. Sometimes it feels and looks like we have an ant farm despite daily vaccuming and mopping! 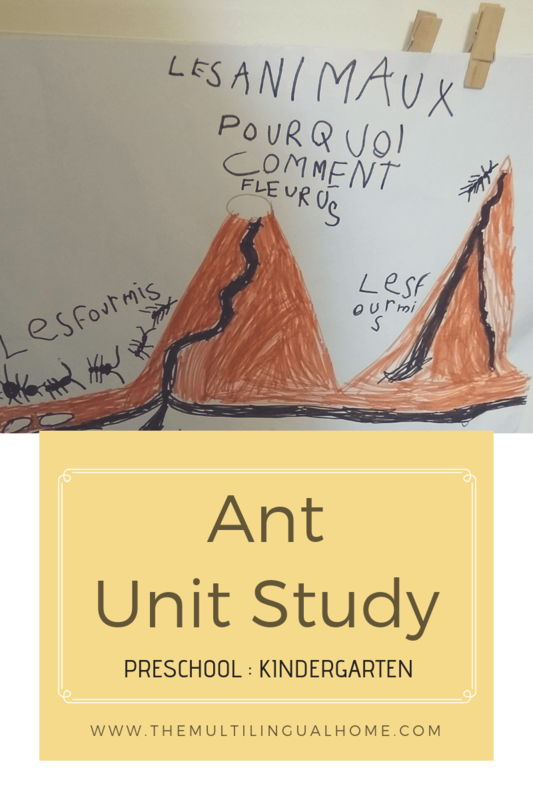 This week we started back up on our after school “homework” with a mini unit study on ants. 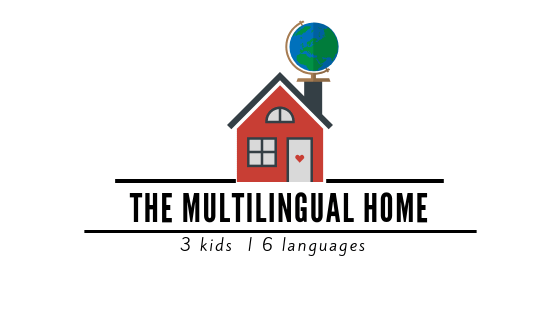 Our learning language strategy has recently changed. 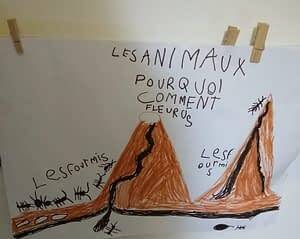 We are going to be focusing more on our minority languages of English, Turkish (Kurdish and Zaza), and Arabic and less on the majority language of French. I will be sharing more about this strategy soon. 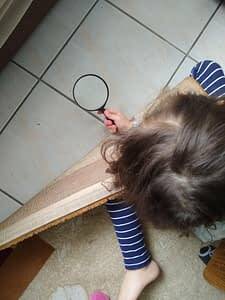 First we observed the ants in the living room. We found the area where they are coming in near the window. We saw a bunch of leftover crumbs (They are better than the vaccum clearner, haha!) I asked the kids how many body parts and what they thought the ants were doing and why they were here. I want to point out, we are on the third floor in our building, so I have always been curious if our other neighbors get them to and if there is an ant trail going up the side of the building or not. Miss F explained that they were thirsty and that she needed to bring them water. As we walked home from school the other day, I read the information from this book, Exploring Nature with Children. 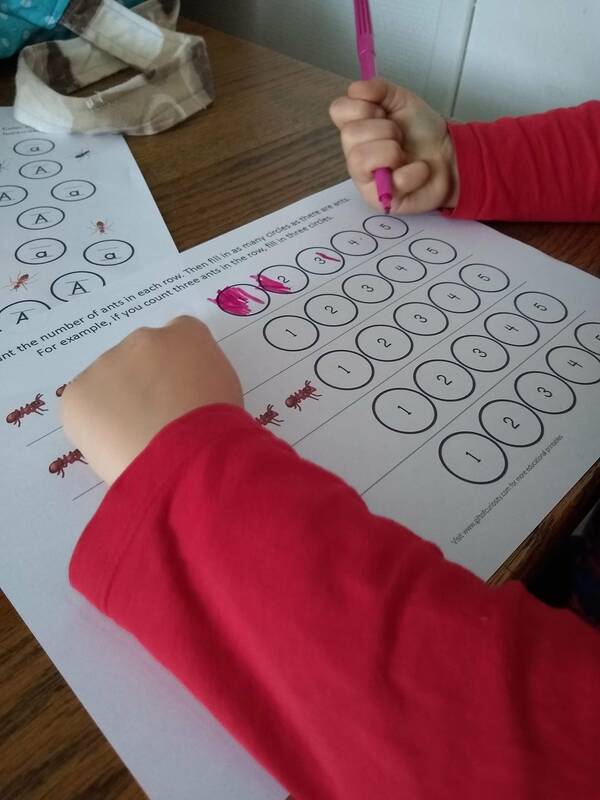 We used her suggestion on making a poem with the letters A – N- T which you can see in the lapbook. We also read looked at the pictures from this book. 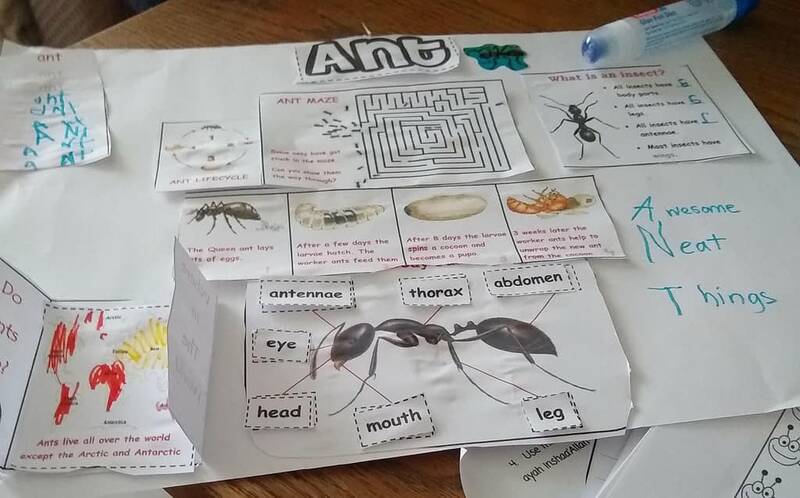 Miss F sat right down after observing the ants and looking at the pictures in the book above and drew this picture without any prompt! 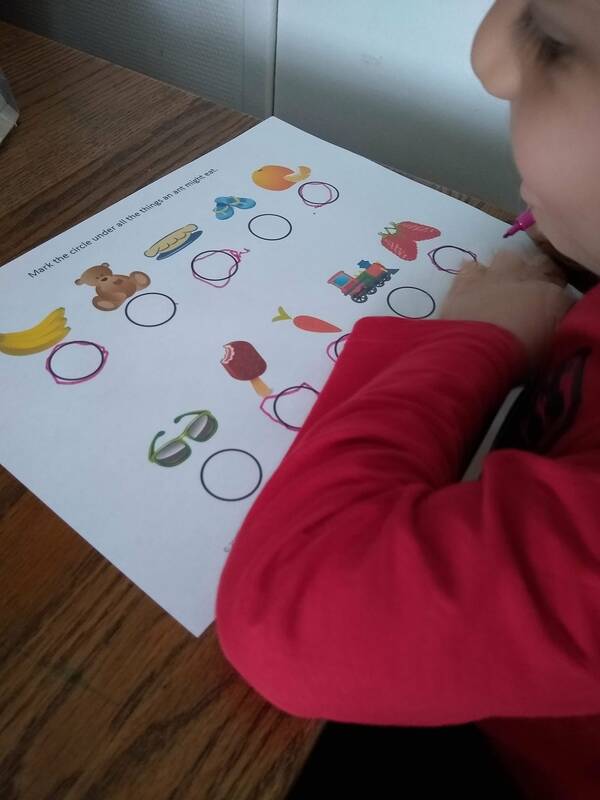 We made this Pre-K lapbook from Iman’s Homeschool. I enjoyed it because it reinforces cutting and gluing for the kids. 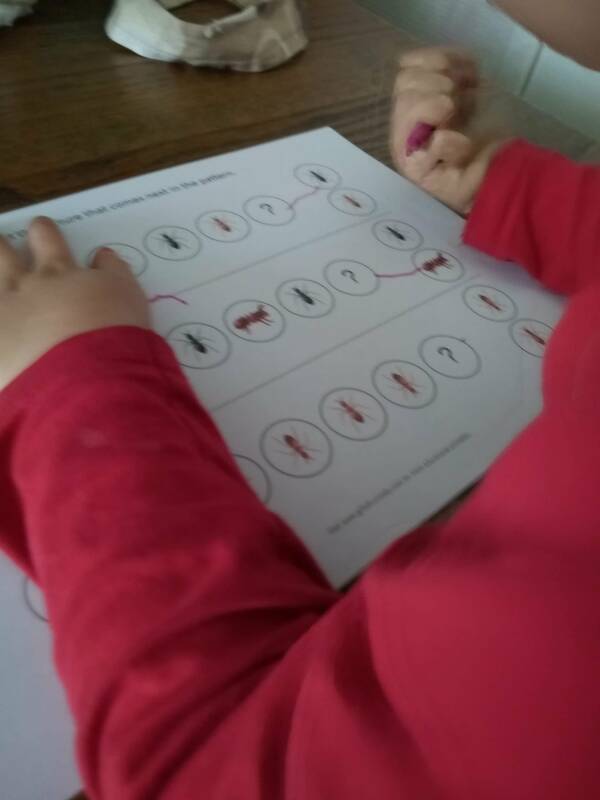 Gift of Curiosity has some do-a-dot printables that were fairly easy for Mr. Z to do. 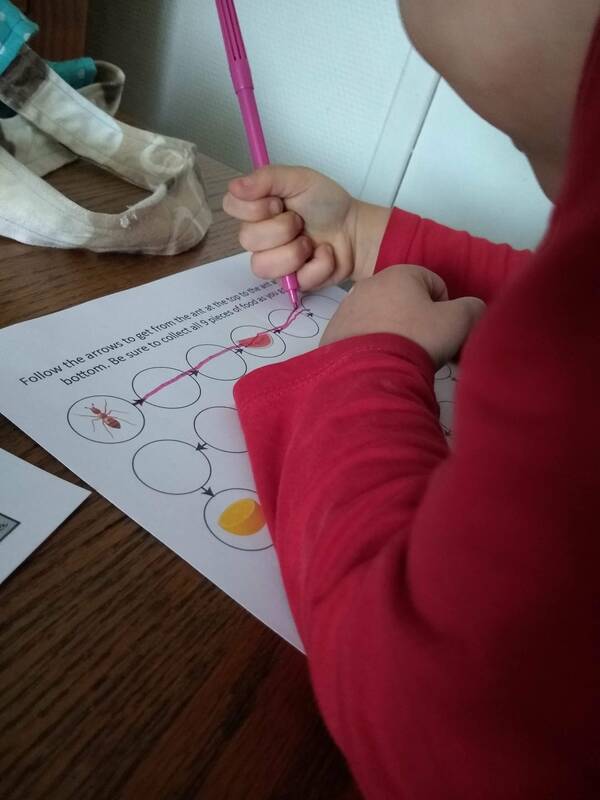 He surprised me when he knew how many ants were on the paper just by looking at it. What do ants like to eat ? 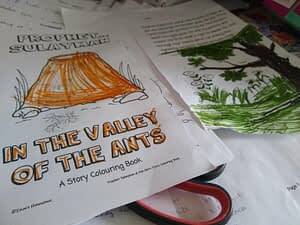 I read the story of Prophet Sulayman (peace be upon him) and the ants while the kids colored this coloring book also from Iman’s Homeschool. This post includes affiliate links, they cost you nothing but purchasing one of these items help to keep this site working! 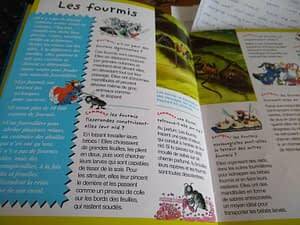 Why we stopped speaking French at home ?